Getting Forklift Ticket in Welshpool, WA - Be Certified Today! Possessing a forklift ticket in Welshpool is a good way in improving your chance of getting hired as a forklift driver. If you never had any experience driving forklift and you want to go into this profession, then getting a forklift licence can drastically increase your chance of getting employed. There are changes in licensing that have been made for forklift operators who want to work in WA. The latest change is implemented by the National Licensing Standard that all forklift operators must have a licence issued by WorkSafe. Forklift operation is considered high risk work in Australia, therefore, anyone who is driving a forklift must have high risk work licence. Hence, we have created this guide for you to be able to get hold of your forklift ticket and obtain a High Risk Work licence. Choose what type of forklift licence you to apply for. There are two kinds of licences, the LF and LO licences. Read below for you to know the difference of the two. Knowing the licence you need will able you to choose what training you need to undertake. Take the forklift training course that usually last for several days depending on the course that you take. The training course is specific to the class of licence you need. You can take the training by enrolling for a course offered by the registered training organization (RTO). List of RTOs is listed below where you can make an enquiry. Complete the two important components of the forklift training course: the classroom discussions and practical exercises. Get assessed by a WorkSafe Registered Assessor. After taking the training and getting assessed, the RTO will assist you in applying for high risk work (HRW) licence to WorkSafe. The application for HRW licence must be submitted within 60 days of the date indicated on the notice of satisfactory assessment given to you by the assessor. Here are the RTOs in Welshpool where you can register for a forklift training course. 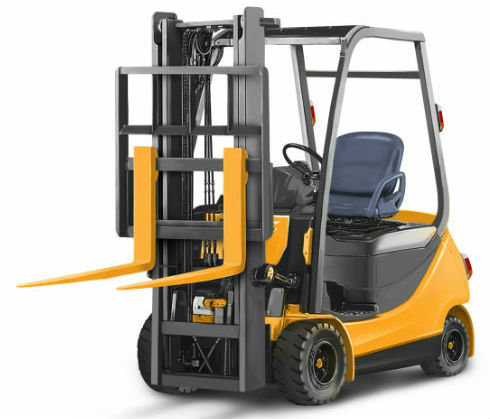 Forklift driver training courses are being held daily at their Welshpool facility. When you are taking forklift training, it is better for you to know which type of forklift licence you need to have. There are two types of licences you can apply for, it is either LO or LF licence. An LF Licence allows the holder to operate counterbalance, high reach, side loading truck, all terrain, truck mounted types of forklifts. While the LO licence allows the holder to operate order picker forklift or turret truck, or very narrow aisle truck. For you to be able to differentiate the difference of the two, the LO class or order picking truck is a lift where the operator is raised together with the load. Holders of LF licences can operate any classes of forklifts except those that are categorized as LO. To drive an LO forklift, also called as Load-Shifting Order Picker, you need to have an LO licence. The HRW licence is only valid for 5 years in which after it expired you need to renew it for you to be legally operate a forklift, you are not allowed to commence work if the licence is not renewed. HRW Licence Number – you can find this number on the front of your photographic licence card, you can also find this number on the renewal notice that was to be sent to you by WorkSafe days before the expiration of your licence. Important contact details such as your email address or phone number that you used during the initial application of your HRW licence. Credit card (either Visa or Mastercard) so that you will be able to pay the cost of the renewal of the HRW licence. Digital photo that is not more than 6 months old. You will upload a photo showing just your head and shoulder. According to Neuvoo, the salary of forklift operator in WA in general averages to $66,608 per year or $34 per hour. A good forklift operator should given importance to safety. Forklift operation involves lifting of heavy objects that endangers the operators to risk and peril. If you can demonstrate your skill and professionalism towards your job, you can be promoted to become a supervisor or a line leader. Taking a more advanced training is also another path for promotion. Getting a forklift ticket and HRW licence is a great to boost your career as forklift operator. You cannot get good employment if you don’t have this. We strongly advise to you to spend a little time and small amount of money to complete a forklift training course and apply for a HRW licence. Having a such licence has a staggering advantage.